So here is the great entry foyer of the XHouse4. 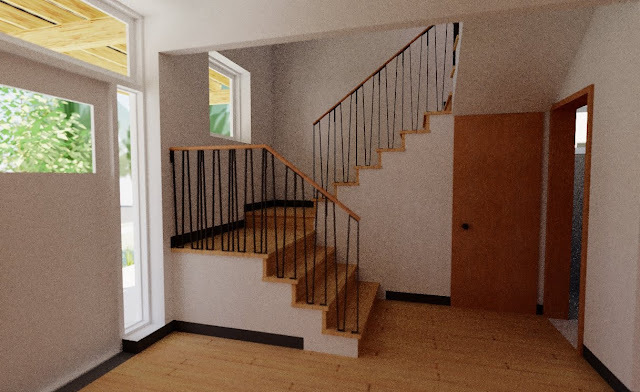 Like many classic American houses the entry foyer is also where you will find the staircase for the house. Since we've seen outside the house front and back and side, and the ground floors open living-dining-kitchen space, why don't we take a trip upstairs on the next series of posts for the XHouse4. Come with us!